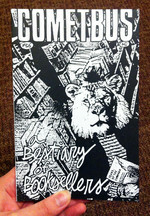 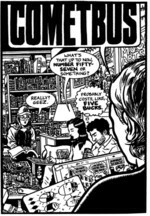 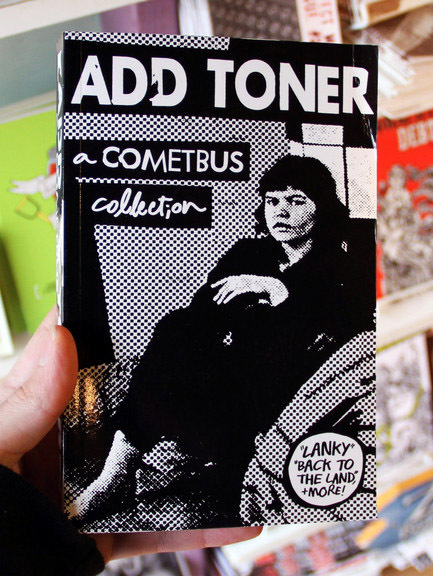 Add Toner collects recent, out of print issues of Cometbus, including Lanky (a novel about dating at 18), Back to the Land (an oral history of the children of hippie homesteaders) plus sixty other interviews and short stories. 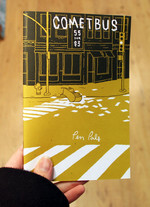 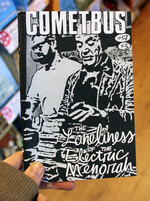 Mostly (hand)written by Aaron himself, the text is interspersed with bold graphics and illustrations and includes some never-before-published material, like the Lanky dictionary and some new Nate Powell sketches for the characters of his wonderful anthropological study of Minneapolis' Hard Times Cafe. 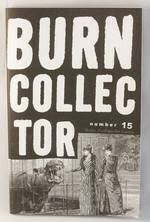 Add Toner follows up his previous collection, Despite Everything, called "a classic in the subterranean world" by Time, and "the best loved zine ever" by the San Francisco Bay Guardian. 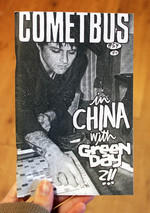 Except this time the writing takes a much more literary look at punk anthropology. 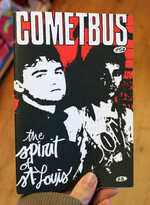 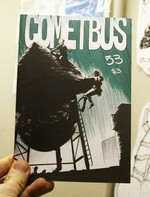 What's rarely mentioned is the merit of the writing in Cometbus, which is not to be missed. 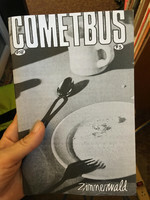 And here's another reason to buy independent—Amazon lists this as the twelveth most popular book about comets and meteors. 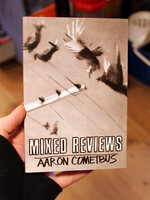 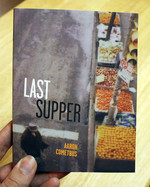 Log in to get emails when Aaron Cometbus has something new.